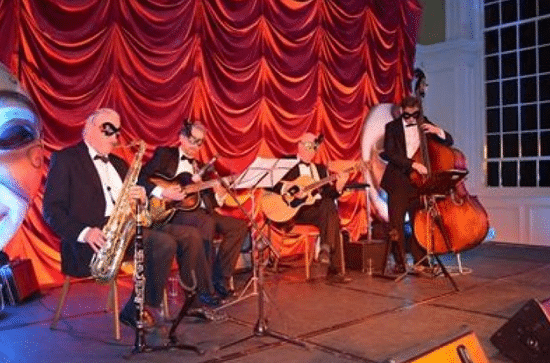 A joyous and vibrant professional band, this Jazz Quartet‘s classic brand of swing music is quintessential for those looking to host the perfect drinks reception. The group models itself on the jazz groups of the prohibition era in 1920s America, although. it does also have an extensive Latin & South American( Bossa Nova, Samba) songbook and European gypsy repertoire (Django Reinhardt). The perfect option for drinks reception entertainment.